The best we make! Our most awarded whisky. This whisky has never received anything less than a gold medal! The cask proof version of our ever-popular Roundstone Rye is a very special expression. Released at approximately 58% ABV (it varies depending on the individual barrels), this is seriously strong whisky! Delicious, dark, complex and ridiculously smooth for the proof, Roundstone Rye Cask Proof is released only about twice per year. Our "Distiller's Edition" of our very popular Roundstone Rye. Only one in every ten barrels gets selected to be in the Roundstone Rye "92 Proof" whisky. This whisky is the culmination of several years of planning. 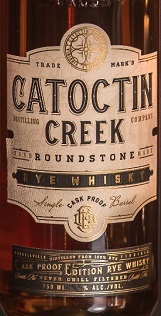 "For a few years now, we've been putting whisky away for storage," remarked Becky Harris, Chief Distiller and President of Catoctin Creek Distilling Company. "We pulled some of the more interesting barrels from the back of the barn and decided to release these at a higher proof: a whisky specially curated for flavor, while still being remarkably smooth, as is our existing 80 proof Roundstone." Our most popular whisky! Roundstone Rye is a very unique rye whisky, made completely from scratch at our distillery in Purcellville, Virginia. This pre-Prohibition style rye whisky is made from 100% rye grain, sourced locally when available. It is mashed, fermented, distilled and aged completely in our distillery, before bottling it at a very sippable 80 proof. Aged it in new Minnesota white oak casks for a period of just under two years, the whisky is smooth, woody, with that true grain character achieved in a relatively young whisky. Roundstone Rye has a delicious woody taste, with notes of caramel, rich butter toffee, and just a hint of lemon in the nose. 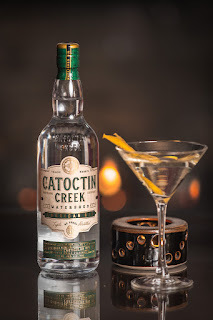 Paying respect to the Chesapeake Bay watershed, in which our beloved Catoctin Creek does flow, this gin is a bit of a watershed itself. 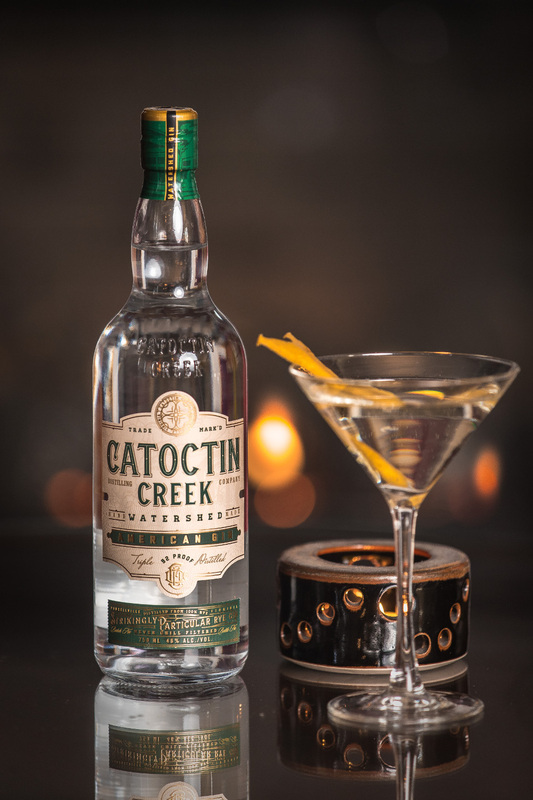 Distilled from organic rye grain, with a secret recipe of organic herbs and spices, Catoctin Creek Organic Watershed Gin® is unlike any gin you've tried. Amazingly complex, with a rye base that shines through subtle citrus and cinnamon notes, essences of fresh cut hay, and of course a crisp juniper character. Together, they make Watershed Gin a fine cocktail mixer. Try it with the traditional tonic and a slice of lime (or a Meyer Lemon, for a real treat!). Or mix it into your favorite summertime refreshers. Catoctin Creek Organic Watershed Gin--organic so you know it's good... as if your taste buds needed convincing!